Below is a list of Proposed/Gazetted Runs for the Central West Car Club Inc. 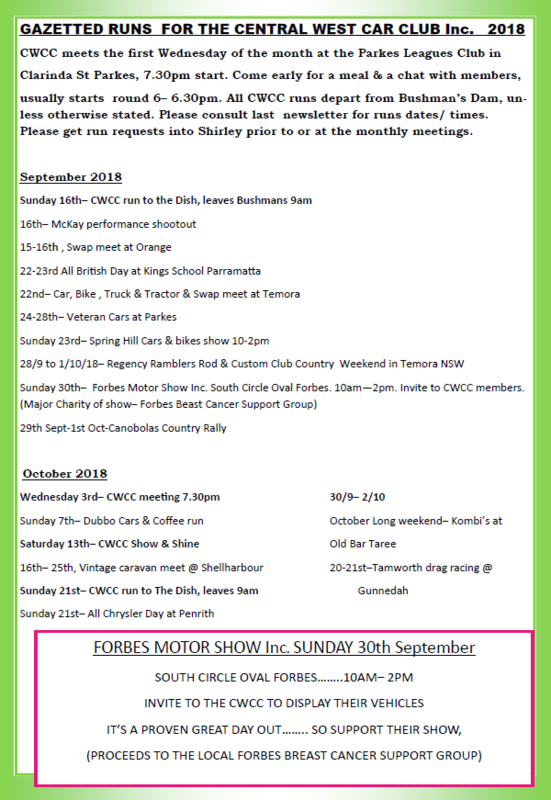 Please note that you need to have events listed and gazetted by the club to attend in a historical plated vehicle. Please contact the president with any events you wish to attend so it can be added to the list.